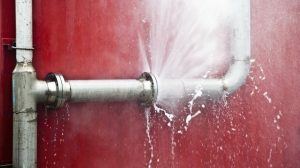 Automatic Shut Off Valve | Ken Neyer Plumbing, Inc.
Should I Have an Automatic Shut Off Valve Installed for My Home? Whenever you go on a vacation, are you worried about some disaster striking your house when you’re away? It’s only natural that you should have some concerns about leaving your home empty for a stretch, but if you take the proper precautions, you can ease your mind about most of these troubles. Posted in Plumbing | Comments Off on Should I Have an Automatic Shut Off Valve Installed for My Home?